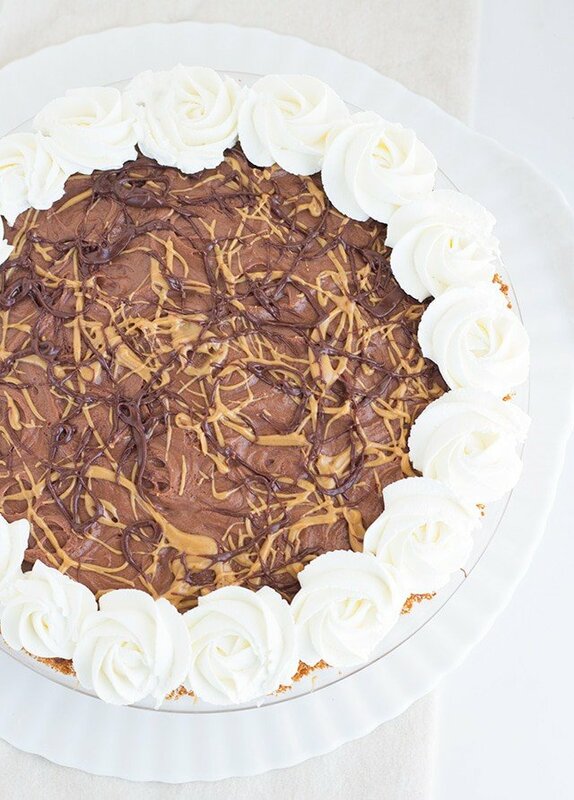 I’ve always been a peanut butter and chocolate lover, so I couldn’t help but do a spin on my mom’s peanut butter pie. 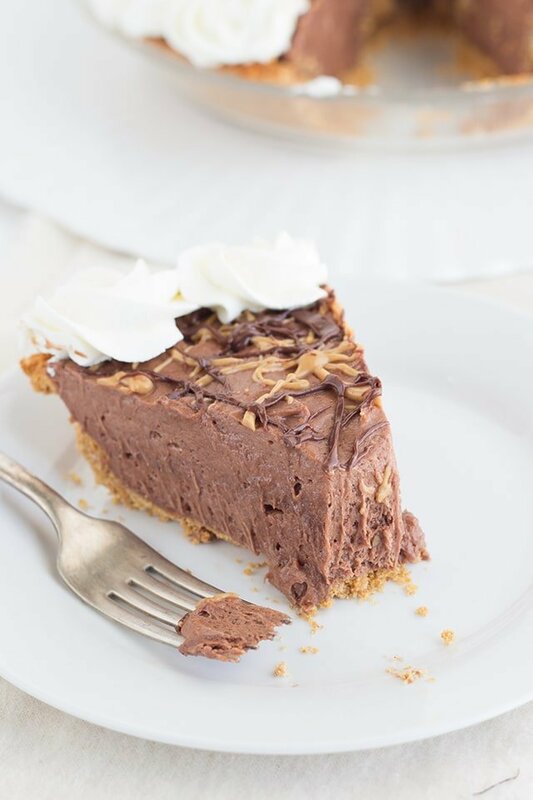 This dark chocolate peanut butter pie has the perfect mousse filling. If you’re looking to impress someone with a dessert, this is the dessert. It’s not extremely difficult, but can make someone weak at the knees. That’s how I got my hubby. Kidding. It was my good looks that got him. I remember one year while I was on family vacation, my mom and aunt had a peanut butter pie showdown. Yes, several of my aunts and uncles were on vacation with us. It was too funny to see my mom garnishing this already perfect pie that I loved so much. She’s the type that keeps things very simple. Honestly, I can’t remember who supposedly won, but I bet I was anxious to be a judge of the two. Sometimes, a pie that tastes so amazing can look pretty plain Jane. You can always doll it up with some drizzles and whipped cream like moi. 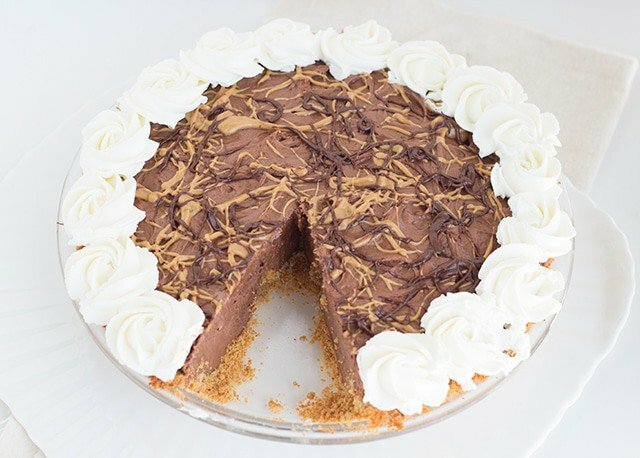 A thick graham cracker crust that's filled with a dark chocolate peanut butter cream cheese mousse. In a medium bowl, add in the graham cracker crumbs and granulated sugar. Stir to combine. In a medium microwave-safe bowl, add in the butter and microwave for 30 seconds. Pour the butter into the crumb mixture and stir until the crumbs turn to a wet sand consistency. It should hold its shape. Press the crumbs into a 9 inch pie plate. Place the crust in the oven and bake for 10 minutes. The edges of the crust should be slightly browned. In a bowl, beat the heavy cream until it forms stiff peaks. You will know it's ready because the consistency of the heavy cream will become thick and hold its shape while you're beating it with a hand mixer. Set aside. 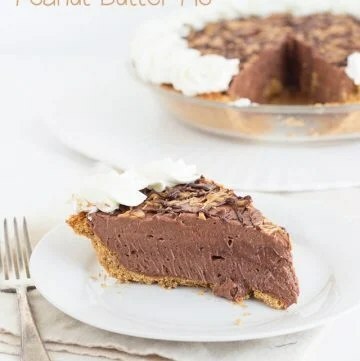 In a medium bowl, add in the cream cheese, dark chocolate dreams peanut butter and butter. Beat on medium/high until light and fluffy. Spread the filling into the cooled crust. Add the heavy cream into a bowl. Whip on medium speed until it forms stiff peaks. Add in the powdered sugar and mix for another 30 seconds. Add the two different peanut butters to to separate bowls. Microwave for 30 seconds until the peanut butter is at drizzle consistency. 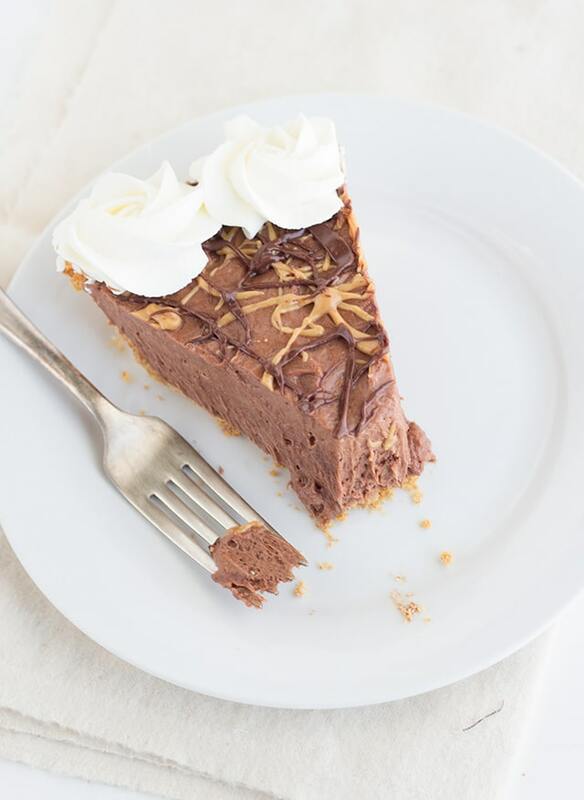 Drizzle the peanut butters on the pie with a spoon. Dip the spoon into the peanut butter and turn it point down into the peanut butter bowl. As soon as the big dollop falls, move the spoon over to the pie and swirl the spoon around. 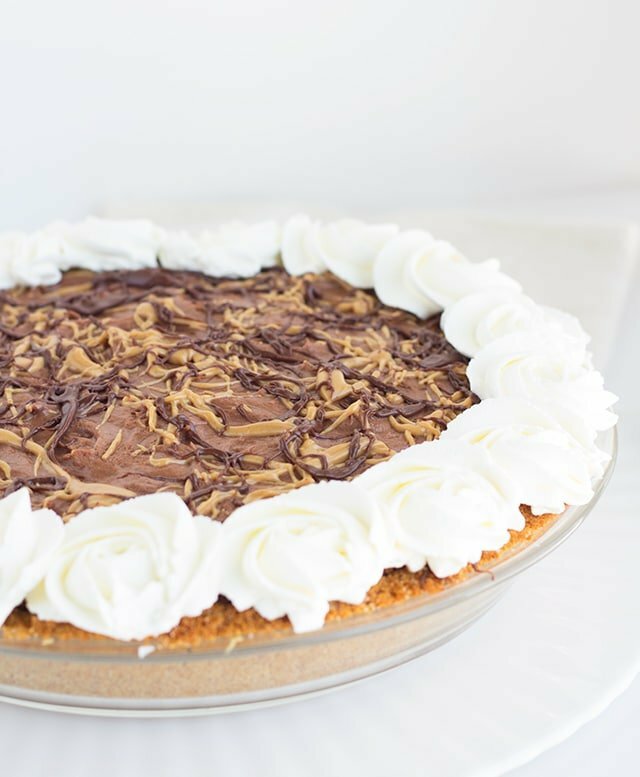 Once the peanut butter drizzle is to your liking, start piping small circles on the outside of the pie with your whipped cream. Cut and serve. If there are leftovers, place 4 to 5 toothpicks towards the outside of the pie and one in the center. Cover with plastic wrap. The toothpicks will help keep the plastic wrap from destroying your design. You must refrigerate this pie. How do you like to spruce up your pies? I’m always up for new ideas! I was sent peanut butter from Peanut Butter & Co to try out. I was not compensated in any way. All opinions are mine alone. 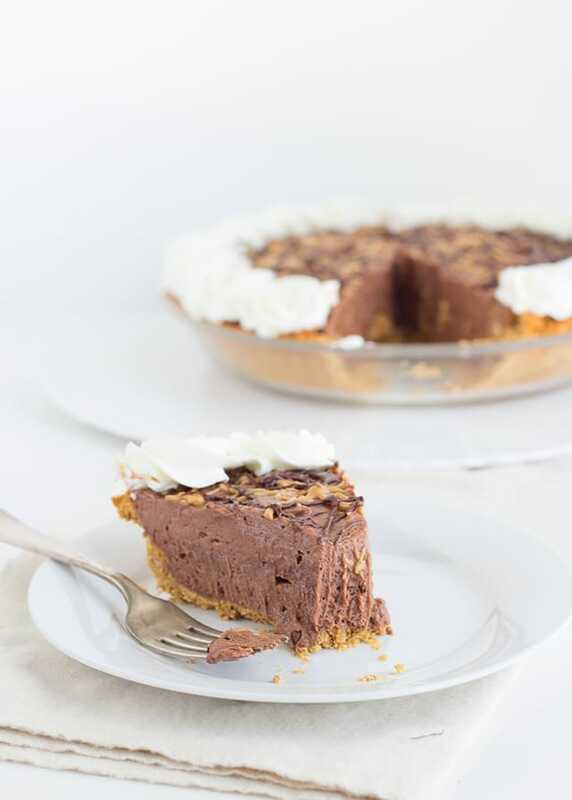 If I were to make this dark chcolate peanut butter pie, I’d probably not share it with anyone! Holy moly! Would you look at that pie? AH-mazing!!! This looks absolutely amazing!! Definitely trying this. Please let me know if it works out! That’s an amazing idea! This looks pretty heavenly and I’ve got a major chocolate craving right now, if only I could grab it through the screen! Thank you, Rebecca! If only I could have put the fork down, there would be some left to send you! Wow, that looks amazing. I’d love a slice right now. Thank you Bee! It’s winter, gaining pounds is okay! Delicious!! I adore chocolate and peanut butter! We have a Pie Night coming up at church here soon. Think I found the one I am making! Oh yes! They won’t know what hit them! I have no words… I want a piece of that right now! This looks delicious! Dark chocolate is always better than other kinds of chocolate and mixing in peanut butter is never a bad thing! Thank you, Diana. It’s a favorite of ours! This pie looks HEAVENLY! We would love for you to share this at the Awesome Things Tuesday Link Party here:http://artzycreations.com/awesome-things-tuesday-65/ Have a great day! Wow, that looks beautiful and sounds scrumptious! I love how you’ve garnished it. Pinned. This looks great! 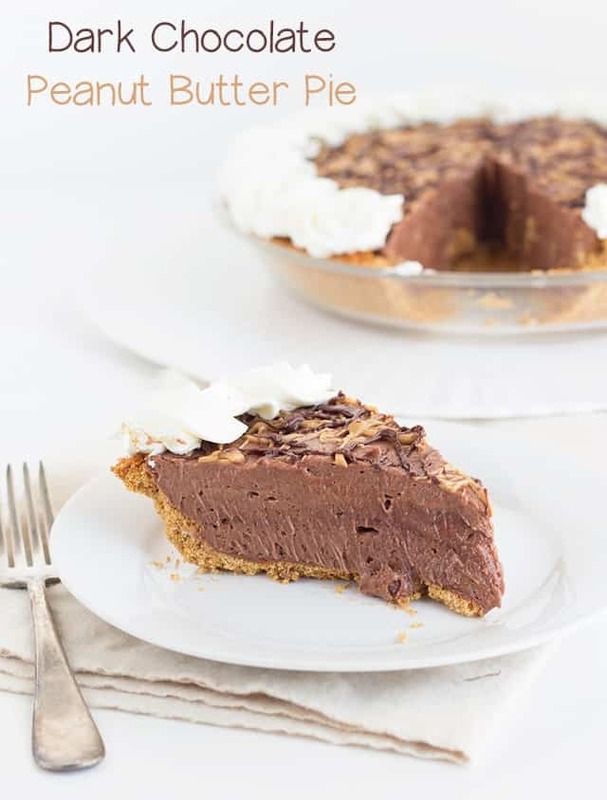 There are actually very few things that I like peanut butter in, but pie is absolutely one of them! Pinning this! Thanks Crystal. Very yummy, indeed! Miranda that looks amazing!! It definitely made me weak in the knees! 🙂 Pinning! This looks amazing! I think this would be a wonderful dessert for Easter dinner. Thanks so much for sharing your recipe with us. Thank you! We did have it for dessert for Easter!